Epigraphy is a study of inscriptions, i.e., text traced upon some hard substance for the sake of durability, as on a monument, building, stone, metal, coin, ceramic, textile, etc. Max van Berchem (1863-1921) was the first to recognize the importance of Arabic inscriptions for a more precise reconstruction of early and medieval Islamic history. He can be rightly called as the founding scholar of Arabic epigraphy. In the course of his travels, Max van Berchem collected an impressive number of Arabic inscriptions from all over the Islamic world. His main published works are Corpus Inscriptionum Arabicarum, principally volumes devoted to Cairo and Jerusalem, the Voyage en Syrie and articles collected in the two volumes of his Opera Minora. Adolf Grohmann's Arabische Paläographie II: Das Schriftwesen. Die Lapidarschrift remains an indispensible reference for studying the evolution of Arabic paleography from pre-Islamic era until after the advent of Islam. Here we will deal with examples of pre-Islamic Arabic and Islamic inscriptions from first century of hijra as well as those containing the Qur'anic verses from this time. The pre-Islamic Arabic is often referred to as the "Old Arabic" by scholars. The most obvious characteristic of the Old Arabic is the use of the definite article ʾl-, the precursor of classical Arabic ʾal-. Old Arabic seems to have remained a purely spoken language until the late fifth / early sixth centuries CE which means that no specific script was associated with it before that period. Thus, on the rare occasions when it was written, the script associated with the local language of prestige was used: South Arabian in the southern half of the Peninsula; Nabataean at Ḥijr, ʿEn ʿAvdat in the Negev, and at al-Namarah; a form of eastern Aramaic at Mleiha on the Oman Peninsula; and early Arabic, mainly in Syria. The Arabic script originated from the Nabataean script. T. Nöldeke was the first to establish the link between the Nabataean and Arabic scripts in 1865, which later confirmed against J. Starcky's Syriac thesis by Grohmann. The affiliation between Nabataean and Arabic scripts has now been fully documented by J. Healey. Following are the example of some of the inscriptions written in Old Arabic. A First Century BC Arabic Inscription In Musnad Script At Qaryat Al-Faw. Although the inscription is in the "old" Arabic, it was written in the musnad script. This is the earliest known Arabic inscription written in the musnad script. A First/Second Century Arabic Inscription Of ʿEn ʿAvdat. The inscription contains six lines; first four of which are in Aramaic and the last two are in Arabic, written in Nabataean alphabet. The Arabic portion is composed of verses of poetry. The inscription shows us that not only was Arabic poetry being composed around the turn of first/second century, but also that it was much like the poetry that was familiar to us from four centuries later. The Arabic part of the inscription consists of three hemistichs in al-tawil, the most commonly used of the classical meters. Raqush Inscription (Jaussen-Savignac 17): The Earliest Dated Pre-Islamic Arabic Inscription (267 CE). Healey and Smith have hailed it as the earliest dated Arabic document. The salient point of this inscription is that it has diacritical points on the letters د، ش and ر.
Namarah Inscription: The Second Oldest Dated Pre-Islamic Arabic Inscription (328 CE). This inscription is unique is several respects. It is the earliest inscription so far discovered in the classical Arabic language. Also it is the one of the two Arabic inscriptions written in Nabataean alphabet. This inscription is the only contemporary evidence we have in Arabic about the life of King Imru'l Qais. This inscription, therefore, is of great interest both to the historians as well as philologians. Jabal Ramm Inscription: A Fourth Century Pre-Islamic Arabic Inscription. This inscription is the second oldest so far discovered in Arabic alphabet after the Raqush inscription. The salient point of this inscription is that it has diacritical points for the letters ج، ي and ن. The grammar in this inscription is straightforward classical Arabic. The language in this inscription is closer to modern Arabic than the language of Shakespeare is to modern English. Two Pre-Islamic Arabic Inscriptions From Sakakah, Saudi Arabia. The discovery of these two inscriptions is of considerable importance in confirming suggestions of the evolution of the Arabic writing inside the Arabian peninsula rather than outside its borders. A Pre-Islamic Arabic Inscription At Umm Al-Jimāl. The grammar in this inscription is straightforward classical Arabic. The language in this inscription is closer to modern Arabic than the language of Shakespeare is to modern English. Zebed Inscription: A Pre-Islamic Trilingual Inscription In Greek, Syriac & Arabic From 512 CE. As the name suggests, it is a trilingual inscription. The Arabic, though, does not translate the Greek but merely listing six names, not all of which are mentioned in Greek. Jabal Usays Inscription: A Pre-Islamic Arabic Inscription From 528 CE. This is the only pre-Islamic Arabic inscription with historical content. Harran Inscription: A Pre-Islamic Arabic Inscription From 568 CE. A Greek-Arabic bilingual inscription from Harran, near Damascus, Syria. An Arabic Funerary Text In A Church In Nebo (Jordan) Dated To Mid-6th Century CE. It is an Arabic inscription written on a grave inside a church. An Early Arabic Inscription From Petra Carrying Diacritic Marks, Mid-6th / Beginning Of 7th Century CE. This is a one-word Arabic inscription. It was engraved in a piece of wood that was found carbonized with an archive of Greek papyri found in a Byzantine church in Petra. The archaeological context suggests the 2nd quarter of the 6th century to the beginning of the 7th century CE as the date of the piece of charcoal. The palaeographical analysis postulated the same period as a date for the inscription. This fact is of a special significance, since the inscription carries diacritic marks, and becomes thus to be the earliest evidence for the use of the diacritic marks in the Arabic script. A Peculiar Inscription Containing Arabic & Nabataean Characters At Sakakah, Saudi Arabia. A inscription contains a curious mixture of Arabic and Nabataean characters showing the dots associated with Arabic letters ب، ت، and ن.
Inscriptions Near Madinah Of The Early Years Of Hijra [c. 4 AH]. These set of inscriptions from near Madinah, although written in a striking Kufic script, bear no date. They have been dated c. 4 AH using the internal evidence. These set of inscriptions are also the earliest to mention the names of Abu Bakr, ʿUmar, ʿAli and Muḥammad Ibn ʿAbdullah, etc. An Arabic Inscription From Turkey, 22 AH / 642-3 CE. An inscription from Batman Su (or Nymphæus), Turkey. Although this inscription had generated a lot of discussion but it failed to provide a sustained interested due to lack of a photograph. Arabic Graffito From Muthallath (Near Yanbu’), 23? AH / 643-4? CE. This inscription written in old Kufic script is interesting as it leaves out tantalizing detail of its dating. If the number "23" in the inscription means the year then it is the oldest published inscription. The Inscription Of Zuhayr - The Earliest Dated Ḥijāzī Inscription, 24 AH / 644 CE. This is the earliest dated ḥijāzī inscription. It was written by Zuhayr "at the time of ʿUmar's death" in 24 AH, thus mentioning the name of the second caliph. This inscription, it appears, is destined to be the most famous of all the Arabic inscriptions as the UNESCO has added it to the Memory of the World Register of Documentary Collections. The Discovery Channel also mentioned the importance of this inscription in the news. Arabic Graffito From Wādī Khushayba, S. W. Arabia (Near Najrān), 27 AH / 648 CE. This inscription was found by a Japanese team doing archaeological surveys in South Western Arabia. An Arabic Inscription From Cyprus, 29 AH / 650 CE. Dated to Ramaḍan, 29 AH / May, 650 CE. No photograph was provided for this inscription, although the content was given. Recently, this inscription was discussed at length by Amikam Elad who has shown using the historical sources that it is a genuine inscription. Tombstone Of ‘Abd al-Raḥmān Ibn Khair al-Ḥajrī, 31 AH / 652 CE. This is perhaps the most celebrated inscription, quoted often in the references dealing with Arabic inscriptions and palaeography. Arabic Inscription On The Darb Zubayda Caravan Route, 40 AH / 660-661 CE. This inscription was found on the Darb Zubayda caravan route at Wādī 'l-Shamiya during an archaeological survey in 1970s. Greek Inscription In The Baths Of Hammat Gader, 42 AH / 662-63 CE. The valley of Hammat Gader is famous for naturally cold and hot springs known for their therapeutic powers. These once filled the large and small pools of an early Byzantine spa, supplying it with hot and cold waters. The Greek inscription from the time of the Umayyad caliph Mu‘āwiya refers to the restoration of the baths. Arabic Graffito From Wādī Sabil, 46 AH / 666 CE. This graffito was found in Wādī Sabil during the Philby-Ryckmans-Lippens expedition. The inscription shows a dot below ب. This is the third earliest dated inscription. Arabic Graffito On The Darb Zubayda Caravan Route, 56 AH / 676 CE. This inscription was found on the Darb Zubayda caravan route at al-Khashna during an archaeological survey in 1970s. Inscription On The Dam Built By Caliph Muʿāwiya, 58 AH / 678 CE. It is interesting to note that this inscription shows the use of consonantal points for ي, ب، ن، ث، خ، ف and ت.
Arabic Graffito Near Karbala In Iraq, 64 AH / 683-684 CE. This inscription mentions the name of the three well-known angels in Islam, viz., Gabriel, Michael and Israfil whose Lord is Allah. A Tiraz Inscription From The Time Of Marwan I, 64-65 AH / 683-685 CE. A band of inscriptions usually on textiles is called the tiraz. The silk with the tiraz inscription in the name of Marwan, one of the Umayyad caliphs, exists in three pieces, all found in Egypt, is dated to the time of Marwan ibn al-Hakam. This dating makes it the earliest known Islamic textile. Arabic Inscription In A Bronze Can, 69 AH / 688-689 CE. A bronze can with an inscription placed around the rim, perhaps originating from Basra during the Umayyad period. Inscription On A Bridge In Fustāt By The Governor ʿAbd al-ʿAzīz Ibn Marwān, 69 AH / 688-689 CE. This inscription was first attested by Maqrīzī (d. 845 AH / 1442 CE). Tombstone Of ʿAbāssa Bint Juraij, 71 AH / 691 CE. An interesting inscription that mentions the name of Prophet Muḥammad along with the phrase "ahl al-Islām". It also mentions theshahadah. Interestingly, Crone and Cook (Hagarism: The Making Of The Islamic World, 1977, Cambridge University Press) chose to ignore this inscription only to conclude that the word "Islam" was used only in the eighth century CE! The Arabic Islamic Inscriptions On The Dome Of The Rock In Jerusalem, 72 AH / 692 CE. The inscriptions on the Dome of the Rock can be rightly called as the "big-daddy" of all the first century Islamic inscriptions. Built by the Umayyad Caliph ʿAbd al-Malik, these inscriptions have copious amount of Qur'anic verses. The Copper Plaque Inscriptions At The Dome Of The Rock In Jerusalem, 72 AH / 692 CE. The Arabic inscriptions in copper plaques at the eastern entrance and the northern portal of the Dome of the Rock are not as well known as the ones inscribed inside the Dome of the Rock. Inscribed by the Umayyad Caliph ʿAbd al-Malik, these inscriptions have five Qur'anic verses quoted partially. The ʿAqabah Inscription From The Time Of ʿAbd al-Malik, 73 AH / 692-693 CE. This is the oldest inscription in Islam relating to the inaugral of a road and it is also the second longest and almost the fullest inscription from the time of ʿAbd al-Malik after that of the Dome of the Rock in Jerusalem. This inscription furnishes clear evidence that ʿAbd al-Malik did not satisfy himself with repairing the old roads and maintaining them in a fit state of traffic, but that he also thought of, and at least in this instance executed enterprises on a large scale. A Rock Inscription From Makkah Containing Qur'an 38:26, 80 AH / 699-700 CE. The Tombstone Of Yaḥya Bin Al-Ḥakam, c. 80 AH / 699-700 CE. Moshe Sharon, who published this inscription, inclines to the view that the person mentioned in this inscription is Yaḥya b. al-Ḥakam, uncle of the Umayyad caliph ʿAbd al-Malik. The date is deduced from the fact that Yaḥya b. al-Ḥakam died c. 80 AH / 699-700 CE. The Qasr Burqu‘ Building Inscription Of Prince Al-Walīd Dated 81 AH / 700 CE. This building inscription in Qasr Burqu‘ was built by al-Walīd before his ascension to the throne (705-715 CE). A Rock Inscription From Makkah Dated 84 AH / 703-704 CE. It contains a mixture of verses 4:1, 2:21 and 2:189. A Rock Inscription From Makkah Containing Qur'an 20:130, 84 AH / 703-704 CE. Milestone From Golan From The Time Of ʿAbd al-Malik - 1, 85 AH / 704 CE. A dated milestone at 52 miles from Damascus found in the village of Fīq (or Afīq) in Golan. Milestone From Golan From The Time Of ʿAbd al-Malik - 2, 85 AH / 704 CE. A dated milestone at 53 miles from Damascus found in the village of Fīq (or Afīq) in Golan. Inscription In A Mosque In Damascus, Built By Caliph Walīd, 86-87 AH / 705-706 CE. This inscription is no longer extant and it is reported to us in two versions: a shorter one by Mas‘ūdī and a longer one by Muḥammad ibn Shākir al-Kutubī (d. 1363 CE). The Inscription On The Turban Of Samuel Bin Musa, 88 AH / 707 CE. An interesting woven inscription from Egypt and it is the second earliest dated Islamic textile after the tiraz inscription. The inscription was done on a turban for Samuel b. Musa, perhaps a Jew or a Christian, in the year 88 AH. The Kasr Kharana Inscription, 92 AH / 710 CE. This inscription, a pious and moving invocation, is full of Qur'anic flavour. Jabal Usays (Syria) Inscription Containing First Line Of The Throne Verse (Qur'an 2:255), 93 AH / 711 CE. A Dedicatory Inscription On An Earthen Bowl For Sulaymān Bin ʿAbd al-Malik, 96 AH / 715 CE. This earthen bowl was manufactured for Prince Sulaymān b. ʿAbd al-Malik before his ascension to the throne 96-98 AH / 715-717 CE. Glass Vessel With Stamp At Beit Shean From The Time Of Sulaymān Bin ʿAbd al-Malik, 98 AH / 716 CE. This deals with dated and undated glass vessels from Beit Shean that remind people of honesty and justice when dealing with customers. A Rock Inscription From Makkah Dated 98 AH / 716-717 CE. It quotes part of 65:3 as it is and the rest of the verse is slightly modified without changing the meaning. An Arabic Inscription From Khirbat Nitil, 100 AH / 718-719 CE. This inscription was discovered in 1886 at the archaeological site of Khirbat Nitil. The eight lines are located in an inner vaulted room in the western wall. The inscription shows a dot below for غ. The inscription mentions hawḍ Muḥammad, i.e., the pool of Prophet Muḥammad in the Paradise, from which the believers will drink. This pool is mentioned in many ḥadīths. Arabic Inscription On A Dam Built By Caliph Muʿāwiya (Madinah, Saudi Arabia), 40–60 AH / 661–80 CE. Written in the kufic script. This inscription shows the use of consonantal point for ت. Milestone Of Aqua Bella-ʿAyn Hemed From The Time Of ʿAbd al-Malik, 65-86 AH / 685-705 CE. This milestone was found in the woods next to Aqua Bella-ʿAyn Hemed on the road between Jerusalem and coast. From Jerusalem to this milestone are 5 miles. Milestone Of Abū Ghōsh From The Time Of ʿAbd al-Malik, 65-86 AH / 685-705 CE. This milestone was found near the church of Abū Ghōsh. It is made up of limestone and shows five line, with probably three or four lines missing at the top and the upper right corner. From Jerusalem to this milestone are 7 miles. Milestone Of Bāb Al-Wād From The Time Of ʿAbd al-Malik, 65-86 AH / 685-705 CE. This milestone was found in a ruin north of the watchtower at Bāb al-Wād on the road from Jerusalem to al-Ramla. It has diacritical strokes for ث، ن and ي, as seen in the last line. From Jerusalem to this milestone are 8 miles. Milestone Of Deir Al-Qalt From The Time Of ʿAbd al-Malik, 65-86 AH / 685-705 CE. Marble milestone found at the cloister of Khozaiba near Deir al-Qalt on the Jerusalem-Damascus road. It has six remaining lines, as the top and the right hand side have broken off. From Jerusalem to this milestone are 107 miles. Milestone Of Khān Al-Hathrūra From The Time Of ʿAbd al-Malik, 65-86 AH / 685-705 CE. This milestone is from Khān al-Hathrūra, Palestine, on the road between Jerusalem and Damascus. The marble slab contains seven lines engraved in bas-relief. The first two lines are broken off. From Damascus to this milestone are 109 miles. Three Arabic Inscriptions From Nahal ʿAmram (ʿAqabah), First Century Hijra. Written on brown sandstone boulders in a good angular early Umayyad script, incised by an expert hand. No points and no vowels. An Islamic Inscription From The Byzantine Fortress Of Rujm Ṣfār, First Century Of Hijra. This inscription was found on the Byzantine fortress of Rujm Ṣfār. 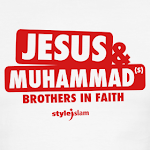 It expresses the Muslim belief in the unity of God and that He has not partners. Two Arabic Inscriptions From Eilat, First Century Hijra. Two inscriptions containing declaration of faith in God. An Islamic Inscription From Sadd al-ʿArḍa From First Century Of Hijra. This graffito was found in Sadd al-ʿArḍa, about 10 kms south-east of Ta'if, during the Philby-Ryckmans-Lippens expedition. Inscription From Ṭa'if Containing Qur'anic Verse 33:56. An interesting inscription containing the Qur'anic verse 33:56. An Umayyad Grafitto From Southern Jordan, 109 AH / 727-728 CE. An interesting inscription that mentions supplication for the acceptance of prayer and fasting during the month of Ramaḍan. The primary source upon which the early Arabic inscriptions draw is, without doubt, the Qur'an. Occasionally an inscription may be composed of nothing more than a Qur'anic citation. Sometimes a Qur'anic verse may be quoted in full within the text of an inscription. More common still, an inscription will be an eclectic blend of words and phrases taken from different verses of the Qur'an, often slightly modified and / or supplemented as required; a technique that is also quite often used in khutbahs and Islamic lectures. Even those inscriptions that do not explicitly cite or paraphrase the Qur'an will mostly be comprised of words and concepts familiar from the Qur'an. Below are some of the examples of early inscriptions from 1st and 2nd century of hijra that quote from the Qur'an. This inscription is no longer extant and it is reported to us in two versions: a shorter one by Mas‘ūdī and a longer one by Muḥammad ibn Shākir al-Kutubī (d. 1363 CE). The longer version has the verse from Qur'an 2:256. A Rock Inscription From Makkah Containing Qur'an 56:28-40 Dating From First Century Of Hijra. The inscription contains complete Qur'an 56:28-40 with an addition of the phrase "What will be the Companions of the Right Hand" between verses 38 and 39 perhaps to give a fitting conclusion to the inscription. The Content And Context Of Early Arabic Inscriptions, (R. G. Hoyand, 1997, Jerusalem Studies In Arabic And Islam, Volume 21, p. 77-102). This article discusses the content and context of the inscriptions from various parts of Islamic world and reaches a conclusion opposite to that of narrowly focused work of Nevo and others. Dated Muslim Texts From 1-72 AH / 622-691 CE: Documentary Evidence For Early Islam. The corpus of dated Muslim texts until 72 AH / 691 CE for the study of early Islam. Dated Texts Containing The Qur’an From 1-100 AH / 622-719 CE. The corpus of dated texts containing the Qur'an from 1-100 AH / 622-719 CE proving the early codification of the Qur'an in Arabic. Dated Texts Mentioning Prophet Muḥammad From 1-100 AH / 622-719 CE. The corpus of dated non-scriptural Muslim and non-Muslim texts mentioning Prophet Muhammad from the first Islamic century. Nevo & Negev Inscriptions: The Use & Abuse Of The Evidence. Yehuda Nevo in his work on Negev inscriptions has simply used Wansbrough's "conjectural," "provisional" and "tentative and emphatically provisional" hypothesis without substantiating them with evidence, as his conclusions to "show" that Islam originated from a Judeo-Christian sectarian environment. In other words, Nevo's argument is circular. Bryn Mawr Classical Review of Crossroads To Islam: The Origin Of Arab Religion And The Arab State (Yehuda D. Nevo and Judith Koren, 2003, Prometheus Books: Amherst, NY). An interesting and devastating critique by Colin Wells of Nevo and Koren's work that calls for radical revisionism of Islamic history. On Revising Bigotry by Professor Khaled Abou El-Fadl. This article includes a commentary on Daniel Pipes, Ibn Warraq and Ibn Rawandi who rather digently use the works of Crone, Wansbrough, Nevo et al. A witty insight into the methodlogies of the revisionists. Revisionism rests on several peculiar assumptions and these assumptions the author highlights in a very lucid way.